I want my site to be number 1 in Google! We hear it all the time in the web world: “I want my website to show up on the first page of Google”. For most people, especially those without web experience, that’s where it ends. It’s a valid aspiration, but a vague one. First, we need to clarify the objective, by defining what search term(s) you’re looking to rank well for. You can’t possibly rank well for everything, so you need to target your keywords and build your website/content geared towards it. Next, you need to decide if you’re going to organically work your way up Google’s search results or if you’re going to pay them to feature your ads (or both). 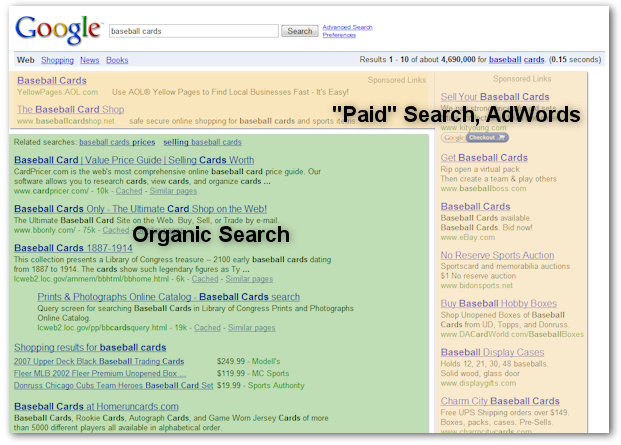 This article mainly focus’s on organic ranking. If you’re going the organic route, it can be a while before you see the fruits of your labor. For example, there are 18,000 realtors in BC and only 10 spots on the first page of Google. Let’s say that half of those agents have a website and all want to appear in the first page of Google for the search term “vancouver realtor”.. there’s still only 10 spots. So, Google has to decide which websites appear first, then which order to put the rest… it uses many factors in determining how to sort the results. There are over 200 factors it uses to determine page rank and they change constantly. Search Engine Optimization is both an art and a science. The scientific components are vast and revolve around technical requirements such as clean “spider-friendly” code, title/keyword optimization, search-friendly URL structures, XML sitemaps, etc. This is where a high-quality website comes into play. For example, all RealtyNinja websites are built following Google’s Webmaster Guidelines. It’s a set of technical requirements that Google (and other search engines) are looking for when they index your website. The larger, more significant, component to organic SEO comes down to the content on the pages of your website. Find out what your potential visitors are searching for. 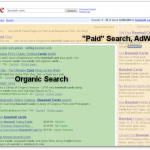 You can use Google’s Keyword Research Tool to do some investigating. Once you have a solid understanding of what you’re targeting, you can write unique content that’s relevant to your target keywords. It’s important to focus on different keywords for each page. Google understands that each page of your site is different, and including keywords targeted to each page, will help each individual page “rank” in search results. Don’t worry too much about optimizing for keywords that are very unique… as you’ll be in a smaller pool of potential websites that can be shown in search results. Examples include your full name, the address’ of your active listings, your specific office, etc. Focus on niche keywords that are in-line with your marketing efforts and target demographics. Where are you selling? Where do you live? these would be great places to start. For example “Lower Lonsdale Condos For Sale” would have a much smaller group of agents competing for page 1 than “Vancouver Listings”. The secret is finding the right balance… relevant, not too vague, not too specific, keywords/phrases that people are actually searching for. The third component to ranking well in search results is linking. How many other websites on the internet are linking to yours? What are those websites about? Do they relate to the same keywords you’re targeting? Do those sites have a high page rank or viewership themselves? Are you linking to them as well? TIP: Instead of writing content and linking the word “CLICK HERE”… try linking the actual keyword you’re targeting. For example “Find your dream condo in Lower Lonsdale, North Vancouver“. Write good headlines – if no one reads your content, no one will ever link to it. So make sure you come up with a eye-catching headline, as it will increase the odds of someone reading your content. Include pictures – no one likes reading big blocks of text. So make it easier on your readers’ eyes by including pictures. 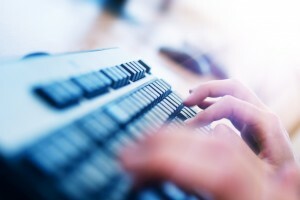 Spicing things up – writing factual content isn’t enough to build links. People want to hear your opinion and unique spin on things. Write for humans – don’t try and outsmart Google by flooding your pages with keywords and writing for search bots. They work on their search algorithm around the clock to become smarter and smarter at detecting malicious techniques. If your site gets caught using these “black-hat” techniques, they can/will block or penalize your site. My recommendation would be to combine a quality content writing and link building strategy with a scalable budget towards paid ads. There are many online marketing companies that can set up and manage your campaigns and work with you in keyword strategy, content creation, social media, etc. You should be using a reputable, local company with a proven track record (like 6S Marketing, for example) and stay away from the “it sounds too good to be true” scams out there. You wouldn’t believe a TV Ad Agency if they told you that you can get an Ad spot during American Idol for $100. Make sure to do your research. I’ve only scratched the surface of search engine ranking. I encourage you to update yourself on the subject as it’s becoming a larger and larger part of every industry. In conclusion, there is no “quick fix” or magic solution when it comes to organic ranking for highly competitive keywords… so focus your efforts on writing quality content for the actual people you want to attract on your website and you will be rewarded for your efforts.